"Earth That Was could no longer sustain our numbers; we were so many. We found a new solar system, dozens of planets and hundreds of moons." 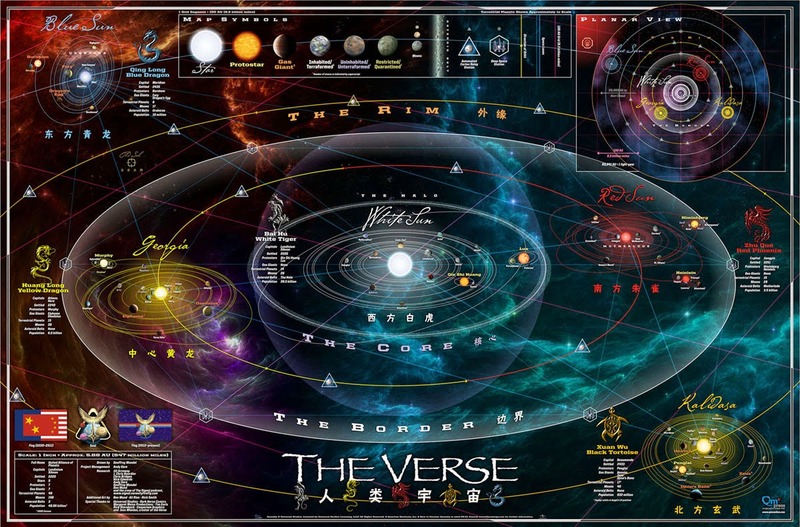 The White Sun is the central body in The Verse. This is the universe of Joss Whedon's Firefly TV series, and follow-up movie, Serenity. In a larger sense, this is a small, yet integral aspect of the Whedonverse. But I digress. Firefly lasted just one season, just 14 episodes, before getting canceled. It has since become a cult phenomenon of sorts. The rest is, as they say, history. Any place that has Kaylee Frye, is just alright with me.